Adult Day Program provides care and activities for adults with Alzheimer’s disease, dementia, post-stroke, Parkinson’s or other conditions that may require assistance and supervision. 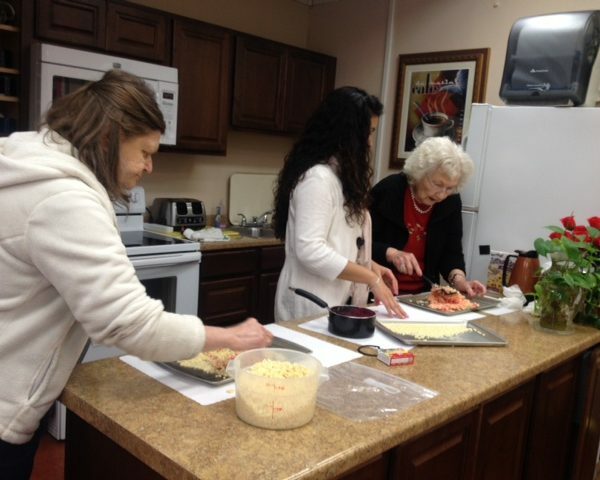 The ADP staff assists and encourages participants to remain as independent as possible to delay or prevent nursing-home placement, while simultaneously ensuring social interaction, safety, physical and mental engagement. The Adult Day Program is the only licensed adult day care program in the Santa Clarita Valley that specializes in the care and activities for adults with Alzheimer’s disease, other types of dementia, post-stroke, Parkinson’s or other conditions requiring assistance and supervision. The program provides caring and highly trained staff assists to encourage participants in remaining as independent as possible, to delay or prevent nursing-home placement while simultaneously ensuring social interaction, safety, physical and mental activities.